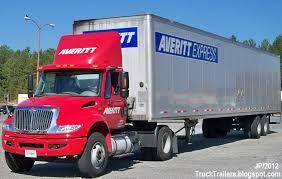 The Indeed.com average salary for a driver at Averitt Express is $881 per week. Multi-leveled medical, dental, and vision insurance. Profit-sharing and 401(k) retirement options. Company-paid life and disability coverage. Not what they advertise. Great slogans, glossy brochures, fancy equipment and uniforms, but miles are low and they really dont care how long you have to sit between loads. Equipment, home time, and atmosphere. I been here for 4 months just like everyone wrote Their doctor thinks everyone has sleep apnea. Home time been out of wack for awhile with me I been home on time maybe 3 times, I had a great fleet manager about a month ago who left the company now I have another fleet manager who seems okay but the load planners are the worst they think you are going to drive all night. Easy to work with, Nice Trucks, Good pay and Benefits. Really nice service centers to park at. Slow Trucks 65mph, Some people don't like the uniform thing but it doesn't bother me. You have to do LTL overnight loads sometimes but they pay you $200 plus miles so it's hard to complain about that. Well maintained equipment, They're always buying new trucks. Never missed a weekend at home. Treated well by the corporate staff and they offer a lot of support to keep you moving and payed. As of 8.11.18, They start out at $0.46 cpm and top out at $0.50 cpm for truckload. LTL team shuttle makes $0.65 cpm. Miles are about 2200-3200 per week They pay empty and loaded miles. They also pay pretty well on the extra stuff like: Detention: $20 per hr after 2hrs Breakdown: $20 per hr after 2hrs Stopoff: $100 per stop LTL overnight: $200 plus miles Paid Holidays: depends on years of service but its typically about 400+ miles added. Their Health insurance is top notch and offer a lot of other benefits as well. If you get a short run they pay you a guaranteed 400 miles for that load and if that short run takes 2 days, they pay you 800 miles no matter what the actual mileage is. The freight is general van freight with hazmat every once and awhile. 99% no touch and a lot of drop and hooks. I can't really tell you how they are compared to other companies as it's the only company I have ever driven for but I really enjoy it here. 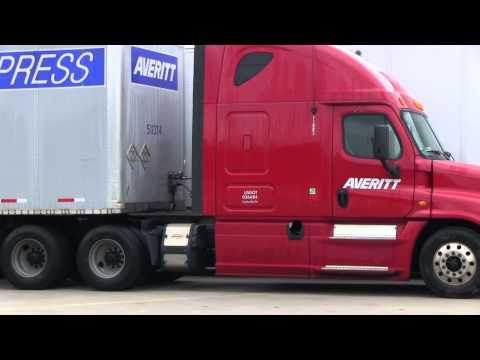 Also Averitt has a lot of other divisions to move around to as they are primarily a LTL company so you can move in a driving job where you're home every day doing city work or shuttle. They have OTL (On Tour Logistics) which is a interesting gig, they service the entertainment industry by going on tours and hauling around stages and lighting. They also have a flatbed division and dedicated supply chain accounts. It's a lot of options to have instead of just being stuck in a OTR company. Q: Are any of you on here doing OTL with Averitt? I went to the orientation at NAS this week and got really interested, looks fun but doesn't sound like you would see home much. Just wondering how y'all are liking it. I have to give them a answer by Monday…..OTL is "On Tour Logistics"
A: I hear the food is good at the venues and your only labor is adding load straps in the trailer. Q: Wondering how the day to day experience is of a city driver? Hard physical labor? Lots of hours? Monday thru Friday? A: Wednesdays & Thursdays off. Physical labor not much. 60 hours in 5 days typically, Start at 0030. Tonight & tomorrow will also have the above, only badly impaired cause of the weekend. Good part is once they pass out or get arrested or crash, then the rest of the day is relatively light traffic. Area = Phoenix & surrounding metro areas / 6th largest in the nation. With occasional trips to Flagstaff, Tucson, and Prescott. A: Lots of Traffic, Lots of labor (unless you run cans), and must work 10 hours. Don't forget about early morning starts or night driving. I worked a local flatbed route that required strapping, moffett, and early AM starts. Q: Hello, I saw there is a shuttle driver position in Charlotte. I've heard averitt shuttle jobs are highly sought after. Is there a reason no one is accepting the job internally? l have over a years experience, most of which is driving team for a reefer outfit. Am I right in assuming averitt shuttle drivers drive nights from terminal to terminal, mostly drop and hook? I am willing to take a bit of a pay cut for less stress (I enjoy driving nights) and maybe a bit more home time. Thank you for any help! Does Averitt really get you home every weekend? A: I have spoken with a lot f Averitt drivers. Every one of them has said, they were home every weekend with a few rare exceptions/ Not a bad starter company. You wont get rich there but you should be home every weekend. A: I had the same experience with Averitt that Trooper did. They would get you home most weekends. I stayed out a few times for 2 but for the same reason trooper did. They were BIG on running legal- even said theyd fire the DM that run their trucks illegal while I was there. They were pretty good to the drivers (I got 3 raises the first year)but being a driver who was used to running 3000+ miles a week, I just could not get used to the cut in miles. There were a lot of 20+ year drivers with them when I was there (and you dont stay with a company that long unless you like it- not in trucking) and I even worked with them (as head of shipping for another company) and never had a problem with the office crew back many years ago. They were pulling Doubles at that time I think? I had a great DM with many years of experience and there was mutual respect between the two of us for the entire time I was there. A lot of the drivers said he was hard to get along with but I never had a problem with him. His name was Jackie and if hes still there (probably retired by now) and you end up with him, you will have a hell of a DM as long as you do your job. They have OTR, Linehaul, Regional and Local out of one of their many terminals so if you like local, its possible to work into it there- may take a while though. They also had pretty good benefits when I was there. Tattoo on wrist a problem with Averitt? A: Averitt does have a tattoo policy, here's some of their orientation requirements. There were a couple of guys that had them on their forearms when I was in orientation, they simply covered with a bandage or long sleeve shirt. Please arrive clean-shaven; mustaches are acceptable but must be neatly trimmed and not extend past the corners of the mouth. Visible tattoos should be covered at all times (keep this in mind when packing for orientation). We look forward to meeting you. If you have any questions, please feel free to contact your selection coordinator or service center director. Shuttle Driver as a fresh graduate?? Looks to me that it's a home daily position... Is this correct?? A: Some weekend regular TL take it from SVC to SVC and it is broken down there. I made a lot of money working weekends just doing this. Shuttle drivers usually run three SVC drop and hooks a night and this is including where they start out of. Then there are some LTL jobs that just deliver during the day to pretty much anywhere and some are dedicated routes or city drivers. A: As for my experience... I'm still here. (see above) But like ANY company I have my good weeks and not so good weeks for miles. So yes sometimes I grumble about doing 2 days of 2-300 mil runs, then get 2 days of 600 mile runs... It averages out, but again good with the bad. 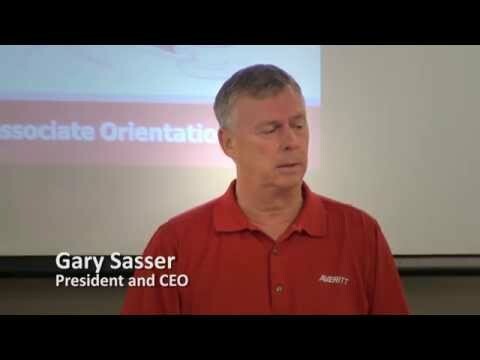 But if you read up on all the post I and others have made about Averitt WJJ, you will see why most people stay and has close to 900 people within the company who have been here 20 years or more. On Tour Logistics (OTL) account drivers here? Q: The company just put up a podcast on their account called On Tour Logistics (OTL). The podcast explains it's a division of AVRT that specializes in hauling freight for music tours, entertainment industry production, trade shows, etc. The podcasts explains you may be out 5-6 weeks and the pay is salary per week rather than mileage or hourly. If anyone knows about this OTL, I'd like to know what is a day/week like with them? Are your only duties driving or also pushing freight on/off the truck? Is it well organized or are most decisions left for the driver to negotiate? OTL requires HazMat and passport as trips to Canada are likely. 99% on the shows are union and all you do is drive the truck. Teamsters usually unload and load the truck and once it hit the dock stagehands take it from there. A lot of the tours have catering on them so you can eat for free and what food I had was pretty dam good. Q: Hey everyone. I have read through most of the Averitt forums and am stuck with a decision. I just finished CDL school last Friday and have been offered jobs with Averitt and Maverick. I am scheduled for Averitt orientation starting Jan 4th. I am still waiting on an orientation date from Maverick. I really like both companies and am having a very difficult time deciding what to do. I know I can make more money at Maverick initially, but I think Averitt may offer more opportunities in the long run. I am leaning toward Averitt, but really need some reassurance from some current drivers regarding equipment, miles, and such. Any insight anyone can give would be appreciated. A: Averitt was fantastic all around. Great training, good trucks, facilities are excellent and it's just all around good. What really sets them apart is the backing school. That saved my skin many times once I was on my own, remembering what my Instructor had taught me. Averitt also has a jackton of service centers and drop lots for you to be able to park at the vast majority of the times you're out running. I rarely hit up the truckstops, saving those for when I ran in an area with out service centers or for when my stopping time put me in-between available centers. Maverick doesn't have one and as flatbedders don't generally back too often, it can be REALLY difficult to get used to the movement of the 10'2" split trailers. You need quite a bit more room to back those especially because since the trailer wheels can't pivot like a tandem. In the end, of course, it's up to you but Averitt would be a great choice for the newer driver because of how they run their training and how the company is run. I would leave flatbedding for when you have more experience if that is what you choose. A: I drive for a contractor that pulls for UPS, FedEx and Averitt. I have been to many Averitt terminals east of I-35. Everyone of them have the friendliest and happy company drivers that I see anywhere. I don't know what Averitt does to keep them all happy. But whatever it is it works. They treat contract drivers and drop shipment drivers with the same respect. Go with Averitt. Q: I just applied for Flatbed driver out of the Nashville terminal. I've been a local flatbed driver for the past year and a half, just looking to go back to OTR/Regional. Any of you guys flatbedders on here? Can you elaborate on the miles you get each week? Is it strictly cpm pay or do they pay you a % on short-hauls etc? I worked for a flatbed outfit a couple of years ago and some runs had something like $125 minimum pay if it was less than 100-150 miles. Just wondering if Averitt did anything like this. A: $60 tarp pay, $15 for strapping or chains. So $75 if load requires tarps. Start at .43 a mile. Be topped out at .46 after 18 months. A: Home weekends, haven't left without 34 hr. Reset yet. I Average 2400 a week. looking for what the actual pay is for these and what all it entails. Thanks. oh and do they have any sort of rider program? Now these are for truckload number off the top of my head... Talk to a recruiter if you want current data for a position your interested in.